Ep. 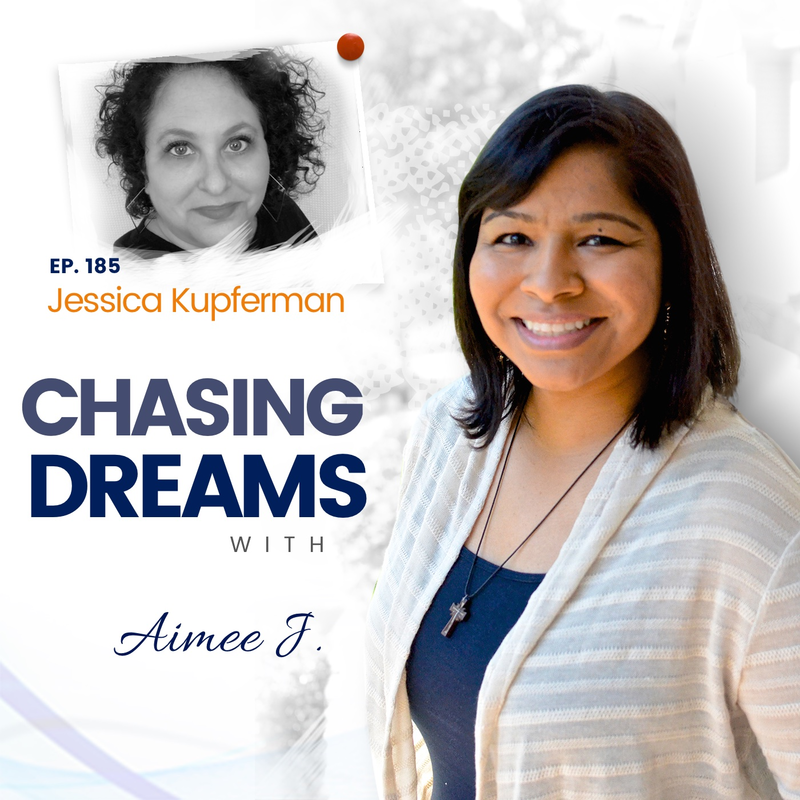 185: Jessica Kupferman – Stepping Into Your Influence | Aimee J. Do you root for the underdog? My guest today pulls for the underdogs of the podcast world—the small, independent podcasters who don’t grab the big sponsorships. Let’s find out what she’s about and how she has made her place in the podcasting arena. Jessica Kupferman is an internet and digital marketing pioneer who helps content creators grow and monetize a loyal, rabid fan base through understanding connection and the power of influence. 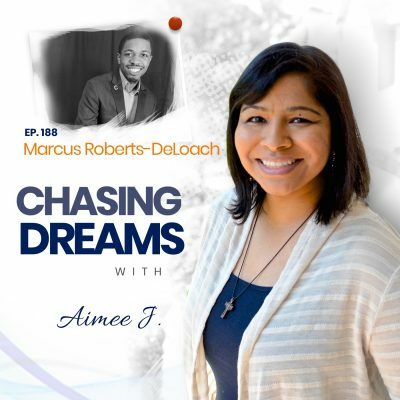 She has worked on branding and messaging for large corporations such as Comcast, Subaru, as well as with hundreds of bloggers, podcasters, and online entrepreneurs by teaching personality-driven social media and sales strategies. Jessica is the co-host and co-founder of the She Podcasts brand, which currently supports over 10,000 female podcasters, and has a digital marketing reach of over 50,000 content creators. She started a podcast advertising agency, JK Media Agency in 2015, and then sold it in 2017 to pursue her passion for helping independent podcasters to create connection and step into their influence. Currently, Jessica is the head of marketing for Rebel Base Media and loves helping their members prepare for success in podcasting. She’s a busy lady, and I’m happy to welcome Jessica to the show! Can men be part of She Podcasts? The answer is no. The group remains loyal to maintaining an authentic organization for women podcasters—a place of familiarity and comfort where women can be themselves. Jessica wants it to be a safe space of relaxation and feels that allowing men to join would take away from that. Even though men have asked to join, she says, “If we let one, then we’d have to let them all!” Every other podcast group out there is available for men to join, so this one will stay different and unique. Jessica’s background in the corporate world was always in jobs in heavily male-dominated fields, so she’s happy to have founded and to be a part of something that offers exclusive support to women. Do you champion the causes you believe in? Most of us love being the advocate and the voice for the things we feel strongly about. The problem is that so many try to champion EVERY cause. You can’t advocate for everything, because you’ll exhaust yourself, and trying to defend every cause makes you a vague person who seems like they don’t know what they really stand for. Wanting to help is NOT enough, because there has to be a connection and a personal incentive. Be who you are. Would you sacrifice to help “the little guy”? Jessica really wanted to help small shows monetize their podcasts, but she needed to prove that to her advertisers. Today, she teaches with the Podcast Success Academy and focuses on teaching podcasters how to pitch, grow, and market their podcasts. Jessica shares how she was willing to make sacrifices and changes, which were prompted by the loss of her daughter, a pivotal point in Jessica’s life. She says we need to learn to ask the right questions to figure out who we are. 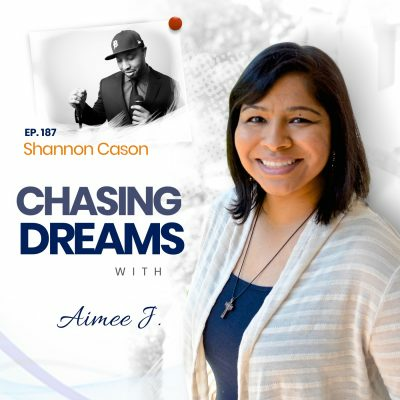 http://www.aimeej21.com/donate Find out more about how to help Chasing Dreams!